Warehouse Aquaponics with Portable Farms®? Yes, Here’s How . . .
We cracked the code so you make money faster and easier and with LOWER ELECTRICAL COSTS to increase your ROI for warehouse aquaponics! You’re welcome. Those huge empty warehouses seem to be begging to be repurposed again in some productive and sustainable way. The enclosed space runs from tens of thousands to millions of square feet of usable space. There must be some way to turn that empty space into a money maker. 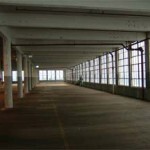 How about making this available warehouse space into a huge aquaponics setup using some special grow lights to grow plants? It sounds so reasonable and straightforward. Every week PFAS LLC receives requests from all over the world from those interested in making use of abandoned warehouses in their area. They dream of converting the interior space of warehouses into a high-intensity food production facility to grow, sell and distribute food locally and make lots of money. Obtain the use of the building through leasing or purchase or whatever means of legal transfer is required to secure the right to use the space. Obtain the necessary permits to make changes to the electrical, HVAC, surface water diversion, sewage hook ups and security systems. This may also require a zoning change. Permission from Fish and Wildlife Department in the local jurisdiction. Permission from the electrical utility to ‘up the load coverage’ to keep the grow lights on. A thorough cleaning. Steam cleaning and even sand blasting walls and floors may be necessary to make the space clean and usable for growing plants and fish. Painting all surfaces and using an epoxy coating on the floors. Replacing or updating the entire HVAC system. Installing an effective grow light system first before installing the aquaponics’ Modules. I’m in the beginning stages of starting a PFAS in my local town. I’m wanting to start small, and am leaning towards indoor growing, due to the extremely cold winters in our area, and the severe weather in the spring and summer. I’ve looked at a lot of different grow lights, and have yet to come up with a solution. Nearly all of the ones I’ve read about are required to be within a maximum of 24″ above the plants. If I am able to grow my operation, I’m not interested in having to make constant adjustments of the grow light system. Could you make a recommendation for me? We have had great luck mounting the grow lights on chains and once on pullies and had great luck. We also found the distance can be up to 36 inches especially for starting plants. Buy the book Commercial Aquaponics GOLD. Then decide how big a space you are going to use, figure out how many Portable Farms Modules 35m2 will fit into it and order the correct number of Portable Farms Kits. Roughly how much would it cost for a 500m2 warehouse? Partial and no natural light! EXCLUDING the cost of upgrading the HVAC, the cost of the materials, the technology, the grow lights, labor and misc will be in the ball park of US$125,000. Most of that is in the cost of the lighting system. The portion going directly to Portable Farms (PFAS LLC) is less than US$40,000. 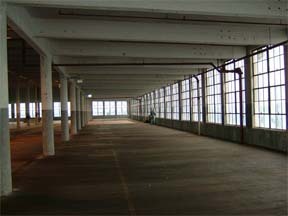 There is virtually NO usable sunlight inside a warehouse. I trust this information helps in some way. Has any of your customers powered a PFAS greenhouse with off the grid SOLAR &WIND ? If yes – what was the cost of that part of the system ? Nearly everyone we talk with wants to set their installation up to be off-grid. We are not solar/wind experts and every installation has different requirements. You will need to size your installation and then talk to solar/wind experts. Yes several people are powering theirs with alternative power, we have run one ourselves off a small solar panel, inverter and twin batteries.